Japanese techno-nationalism, although often viewed in the post-war era as predominantly contributing to a civilian economic agenda, just as crucially did not disappear from shaping national security strategy and military policy. Japan has scored important successes through techno-nationalism to nurture an indigenous defense industry. In this way, Japan’s past tradition of “rich nation, strong army” extended from the Meiji into the contemporary period, assisted in part by the US security umbrella under the “Yoshida Doctrine” and enhanced autonomy in a grand strategy. But despite the central importance and success of Japanese techno-nationalism in the post-war period, in recent years the paradigm has been under serious stress. It has, of course, spawned intense economic competition and copying from other states, however, in the security sphere it is also at risk of declining efficacy from a variety of both internal and external pressures. These range from Japan’s own internal resource limitations, self-imposed constraints on the development of military technologies and demands on Japan from its US ally. Japanese policy-makers have fretted for many years over the “slow death” of techno-nationalism, and the impact on national security. The advent of the Donald Trump administration and demands for Japan to “Buy American” in defense equipment have only exacerbated these concerns. As a consequence, Japan has searched for ways to maintain the centrality of techno-nationalism in its security strategy and to keep alive its existing model through modifications and new avenues for development. Specifically, the newly emerging strategic doctrine of Prime Minister Abe Shinzō has sought ways to use techno-nationalism for national-security ends, and to exploit new avenues of international collaboration, including the less readily apparent avenue of outer space technologies, to revitalize and sustain the model. The prospects for success of these approaches in keeping Japanese techno-nationalism alive, and in turn facilitating Japanese national security strategy, are explored below. But this strategic bargain with the US did not mean that Japanese leaders committed unconditionally to these security arrangements. 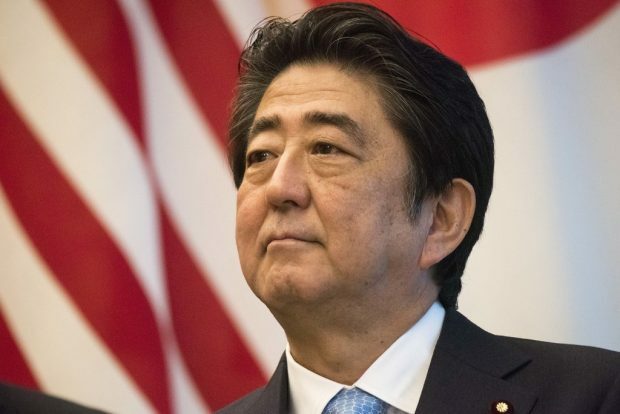 Japan continued to seek to maximize national autonomy as far as possible within its domestic and international security constraints, and to hedge against the classic alliance dilemmas of abandonment, but especially entrapment, in this period. The result was Japan engaging in often convoluted hedging tactics, involving: the maintenance of the ban on individual self-defense to curtail risks of embroilment in collective self-defense operations to support the US; general obfuscation of the degree of defensive commitments to the US under bilateral alliance arrangements; and Japan’s eschewing the procurement of military capabilities that could be enlisted in the service of the US outside Japan’s immediate territorial defense. Japan thus continued to contemplate a “dual hedge” against over-dependence on the US — hedging primarily within the US-Japan alliance to limit its commitments and maintain autonomy and thus a degree of leverage over the US; and secondarily, given its relatively constrained military capabilities and range of possible partners outside the US, hedging against the alliance by developing potential alternative options to mitigate over-reliance on the US. In the post-Cold War period, Japan’s security posture has embarked on a fundamental transformation, marked by venturing into new security contributions in maritime security, multilateral co-operation and UN peacekeeping operations, but most especially in the expansion of US-Japan alliance co-operation, both functionally and regionally. Many of the previous anti-militaristic taboos on alliance co-operation have fallen away, including Japan ending the ban on the exercise of collective self-defense in support of the US, specifying more clearly the scope of Japan’s military co-operation with the US in a range of scenarios, and acquiring new capabilities for the JSDF to work more seamlessly with the US and reinforce the deterrence posture of the alliance. Hence, the Yoshida Doctrine is now transforming into a new “Abe Doctrine” that commits Japan to move beyond minimalism in its national defense posture into a more full-blown alliance relationship with the US that increasingly edges towards matching that of the US with its other allies and partners. Japan has also begun to build an impressive array of dual-use space systems that support military functions. Starting in the mid-1980s, Japan began developing a civilian space launch capability with the H-II liquid-fueled rocket series, and since the 1990s has extended to the M-series and Epsilon solid-fueled rockets for “scientific” launches. Solid-fueled rockets are rarely developed solely for civilian purposes, and the Epsilon in particular is considered to be a mobile, launch-on-demand rocket for military payloads such as tactical satellites.